First off, my cool video ranking tip so let’s get started! Among the many things I do within my online business, running small tests and case studies in the background is one of them. Recently I’ve been testing different strategies out for ranking Youtube videos. I’ve got a ton of tests ahead of me yet but one strategy that I’m seeing significant results with is related to “video tags”. Although video tags are not publicly visible on the published video pages they are hidden within the source code and are used by Youtube and Google. EXAMPLE: electric dog collar review, electric dog collar reviews, best electric dog collar review, best review for electric dog collar review. I’ve discovered that using tags as a way to target more “specific keywords” is the wrong way to go about it. Instead, the best way to use tags is to utilize them to create an overall theme. This means choosing tags that relate to your target keyword but aren’t always in direct relation to your target keyword. Confused? Ok, even those last few sentences confused me. What I’m referring to here is to create tags that relate to other niche specific areas such as related brands, experts, sub topics etc. 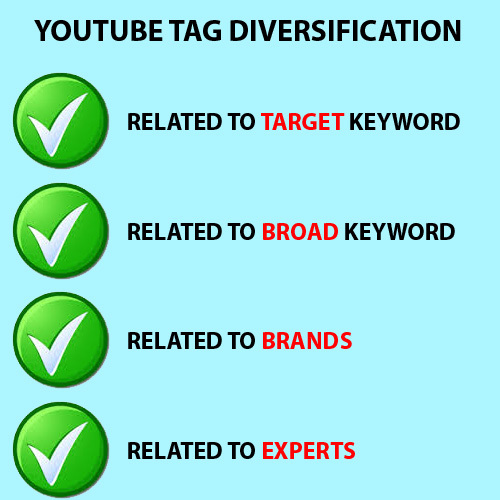 This paints an overall picture which gives Youtube and Google a better indication that your video IS about your chosen target keyword. Here’s a little graphic I just whipped up in Photoshop to illustrate the KEY areas you need to focus on with regards to tags. In order to create a nice theme around your keyword it’s good to include tags that relate to BRANDS. 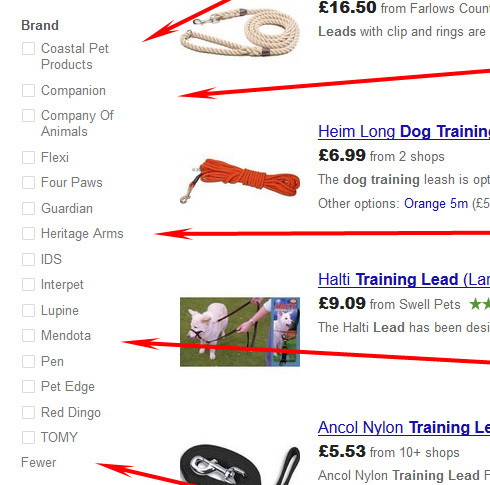 Brands that produce and sell products that are related to your target keyword. 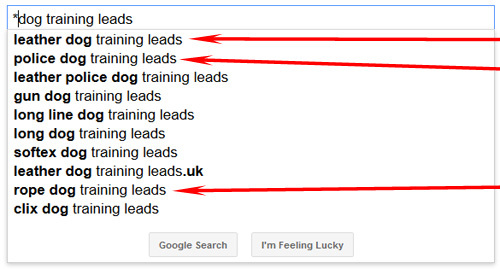 In this example it will be brands related to “dog training leads”. To do this you simply enter your target keyword into Google and then click on the shopping link towards the top of the page. Google will then present you with a TON of products related to your keyword and on the left hand side you will see a section containing “BRANDS”. Click on the show more link and it will expand in order to show you all the brands related to your keyword. Take a selection of these brand names and add them to your tags list. 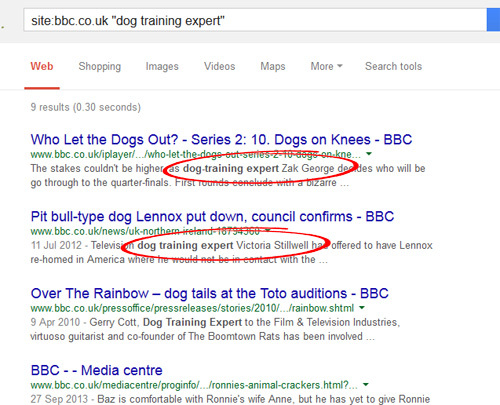 This forces Google to return BBC News articles that include the exact wording: dog training expert. This will generally have a name either before or directly after. You do not have to use BBC News website. You can use any large news type website. If we take a closer look at the first result Google returned to us, the name is “Zak George”. If we take that name and enter that into Google you will instantly see that this person IS a dog training expert and that Google is already highly aware of him. 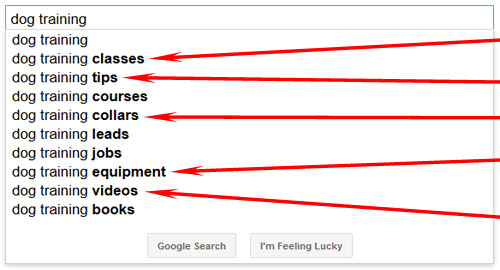 In order to get your videos ranking from the very start we have to let Google know that our video is relevant. This is why we use the above techniques to create a DIVERSE range of tags that dig DEEP into our niche. We include specific keywords, broad keywords, brand keywords and keywords related to experts within the field. 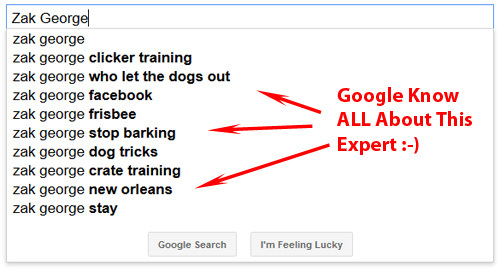 Google will know that EVERY single tag that we use within our video listing is RELATED to “dog training”. They will have hundreds or even thousands of indexed content pages about our included experts – With a network of external sites and pages linking in and enforcing that. They will have thousands of indexed pages that review the brands and products. Add to that the thousands of indexed pages that display content around all of our other broad tags. I hope that you have learned something from this blog post and apply this tip to your OWN Youtube videos. Before you leave this page I wanted to tell you about a brand NEW WordPress theme that has just become available and that allows you to quickly build niche video sites. Sites that you can quickly monetize using the simple, built-in features. You can setup ANY number of these “curated video” sites – Each one targeting a different niche and each one having a completely different look and feel to them. I really appreciate you reading this blog post and if you can spare just a few more minutes to watch this short demo video I’m positive you will like what you see. & Builds Niche Tube Sites While You Sleep! Easy Auto Tube will automatically find Videos based on your keywords. Easy Auto Tube will automatically posts with keyword rich descriptions. Being able to set up a site quickly, means multiple sites with multiple monetization offers can be built in. The Easy Auto Tube Theme manages the Videos in a correct manner for Styling & visitor viewing. Is a Unique WordPress Theme that finds popular videos. Will find videos related to your keywords from Youtube & Dailymotion. Will autopost your curated Videos as often as you want. Enables users to create a fully automated tube site in minutes. Fully customisable optins, widget areas for multiple monetization. Enables user to choose from many settings – is SEO optimized. With Approved Optimization, Social Integration and SEO Plugins READY installed! Comes with full Multisite License for true business building opportunities! If you watch the video above you will see that it has built-in monetization including Adsense, Amazon, CPA offers and even list building etc. Lots of ways in which to turn these sites into “money making” sites, with very little effort. I love anything related to video and Youtube right now. Youtube is HOT and is packed full of MONEY MAKING opportunities if you know how to tap into them. This new theme is well worth a look. Your own collection of in-demand, profit pulling info products! Video on how to Quickly Spot Profitable Niches! I hope that you have enjoyed the FREE content within this blog post. I will be sharing more “RANKING” tips with you soon so stay tuned and keep an eye open for my emails. Awesome information Andy keep that information coming. Thanks for the tips on tags Andy. 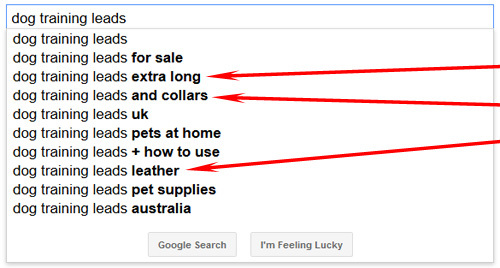 Your information is always helpful and gives a new twist on how to keep the Google crawlers happy. Andy, I’m a newbie at all of this. 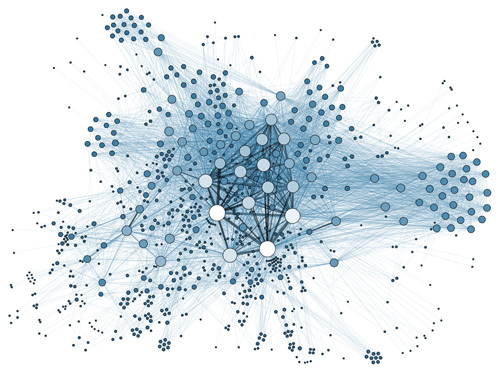 I get the idea of the diversification of tags, but where do I insert all these tag keywords? In the description of what the Youtube video is about? Can you show me an example of a video with the different target, brand, broad and expert tags in it? I don’t understand where the tags get typed in. Hi Kim, thanks for your comment. I was going to include that in my post but was running out of time. When you upload and publish a video to Youtube there is a TAGS section below the title and description fields. That is where you enter each tag. If you want me to add a screenshot to the post then let me know and I’ll do that asap. Great Youtube tip, Andy! Thanks!!! Just a quick question about your bonus offer for purchasing the “Easy Auto Tube” software via your affiliate link above. How do I access your bonuses? Hi Ken, that has nothing to do with the points I’ve made within this video. That is about conversions. My blog post is purely to offer a tip for increasing your ranking. Great post Andy. Very informative and very kind of you to share. I will be implementing this ASAP. any plans to add those features down the road? Great post – and I love the image to show how we want google to see our theme. I am a big fan of YouTube for my businesses and have just started up a completely new channel for our new website. Starting from scratch is good fun and a real challenge – Previously I have had a big subscriber base to help me rank videos but without using this immediate traffic it is much harder.